What a great idea – a living and breathing café! 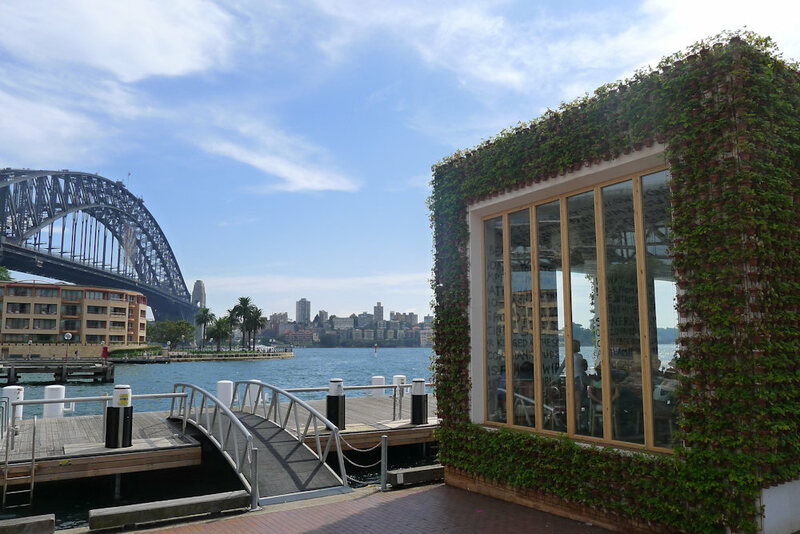 Greenhouse is a temporary café (closing in a month so be quick) designed by Joost Bakker which has been installed at Circular Quay West, Sydney. Most of the structure is covered in terracotta pots which hold strawberry plants… it’s all very sweet. The remaining side is comprised of two orange shipping containers which are covered in artwork . 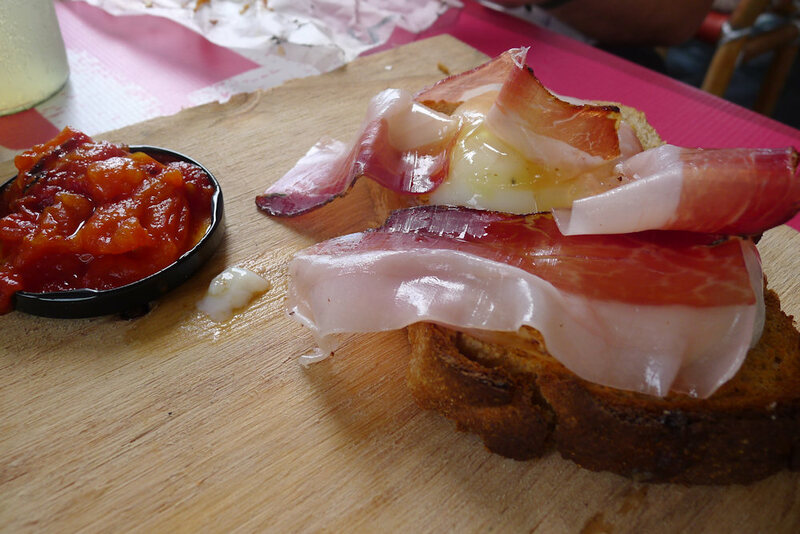 The menu is limited but includes food that is sourced locally and in season. We visited for breakfast but it is also open for lunch, dinner and drinks the last of which is served on the rooftop bar. This is a great experiment in sustainable living, low consumption and minimal impact on the environment. Basins are built into the top of the toilet cisterns to minimise water used, candles in jam jars are used for light and the grinders, plates, cutlery and decking upstairs are wooden. Recycling and sustainability is the name of the game and we agree that it’s a step in the right direction for everyone. With a goregous design, spectacular view and tasty food, you’d imagine the café would get top marks. The one thing that let us down on the day was the terrible, terrible service. Upon arrival there was much confusion as to whether it was table service or not. The waiters didn’t offer any assistance and most people stood around looking worried until other seated patrons offered advice. We ended up seating ourselves and waited at least 15 minutes for any service. We ordered coffees (they were out of fresh juice) but couldn’t find a menu and had to stalk another patron to get our hands on one. The waitstaff knew very little about the menu and were not very helpful. We chatted to one of the staff who looked like he knew what he was doing and he said that they were a mix of helpers, artists and friends who were working on the project. Some tips for Greenhouse: put a sign at the door letting patrons know if they should seat themselves, have ample menus and brief staff before their shift on expectations and the menu. And another thing, redesign those hideous t-shirts! Attaching a zipper to the outside of a T shirt and writing on it in big print does not automatically make it cool. After our long wait for the coffee, we were pleased that it was aromatic and delicious. They definitely have a professional barista. The best looking coffees are the lattes, served in jam jars. We didn’t order one (but had one incorrectly brought to our table twice), so you’ll have to go and try one for yourself. 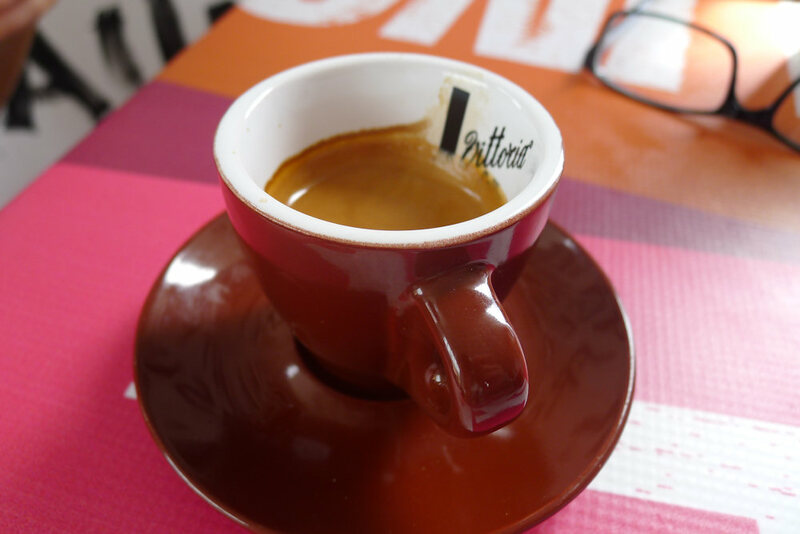 The espresso was yet another delicious example of fine coffee. 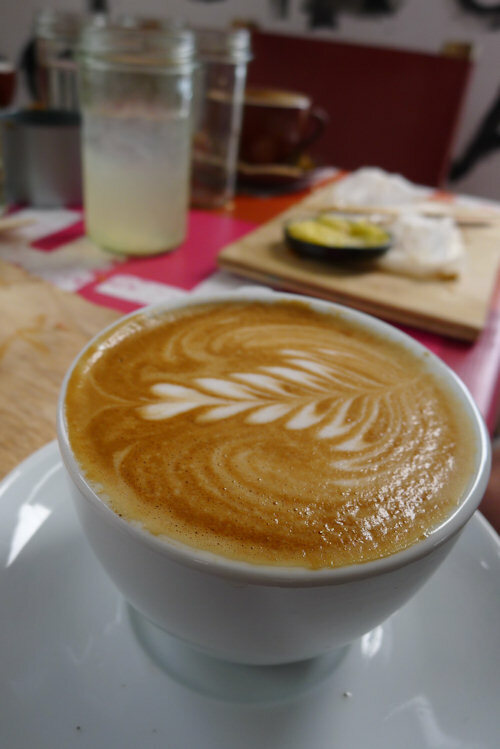 Again, the flat white was a fantastic sample of the coffees at Greenhouse. Go along and sip yours while you try to decipher the pieces of menu covering the wall as well as the many eco facts. 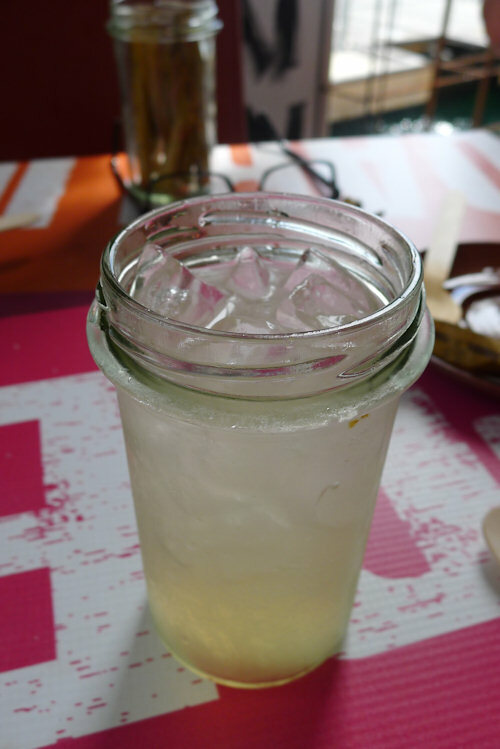 The lemonade came in a jam jar, like the table water and lattes. Greenhouse squeeze the lemons onsite and mix in soda water and sugar. The result is a homemade flavour in a unique café in the middle of Sydney. April tried a macaroon ($3) with her coffee. The waiter announced that it was “probably pistachio”. We agree that it probably was and tasted amazing. The shell was firm and softened when bitten. The filling was creamy and there may have been an atsuki (red bean) in there somewhere. 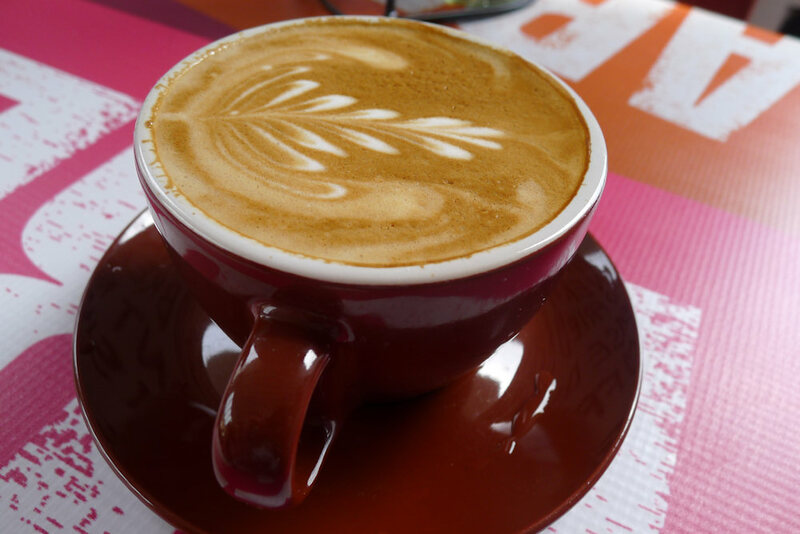 It’s naughty and delicious to have a sweet treat with your coffee on the weekend. 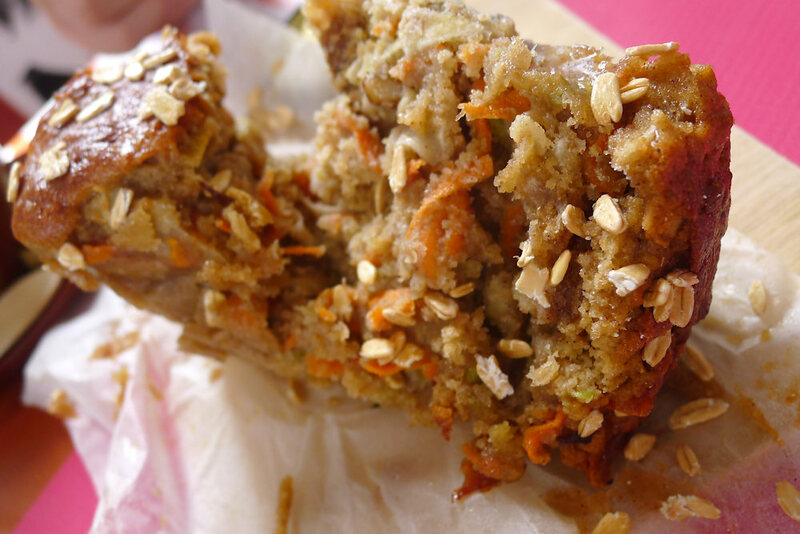 Our guest tried the apple, carrot & oat muffin ($4). He was very impressed and ordered another. Greenhouse make their own butter, yoghurt and mozzarella. We’re happy to report that the butter was delicious and alo served in the lid of the jam jar, a nice touch. The poached egg and prosciutto ($17) arrived with the egg looking decidedly undercooked. However although it was quite wobbly, this entire meal tasted fantastic! 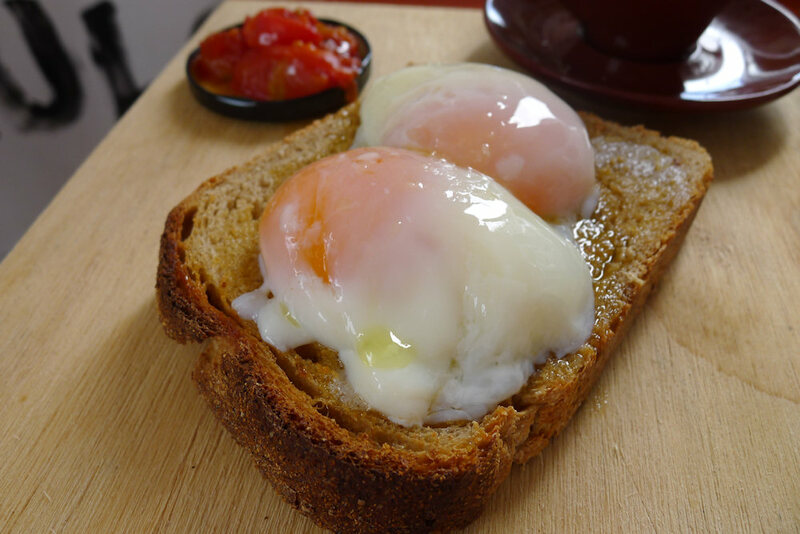 The wholemeal bread was absolutely delicious and melted in our mouths when combined with the oozing yolk of the egg. The tomato on the side adds some extra flavour and (we assume organic?) meal was a hit in Dane’s book. The slightly undercooked poached Eggs ($12) were too wobbly for April’s tastes. The yolk was yummy and runny but the white left her pulling faces. The bread was thick and served with a dash of oil or butter (it was hard to tell) and we managed to saw through it with our wooden cutlery. 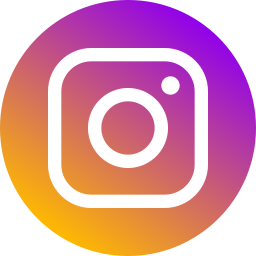 You can be sure that the theme of Greenhouse and the ideas and idealisms it employs will incite some lively debate about both the cafe itself and the green movement as a whole. In the past, projects like this would have been seen as hippie rubbish but now they are considered forward-thinking and conscientious. 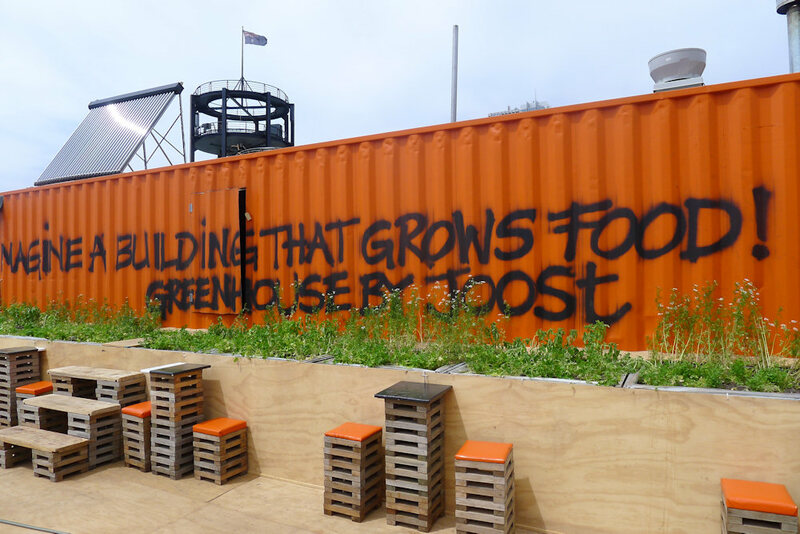 This week we award an extra three stars for greenness and hope to see some of the practical thoughts seen at Greenhouse put into practice elsewhere. It’s easy to see that it’s located in a prime position so bring your walking shoes and camera and make a day of it! 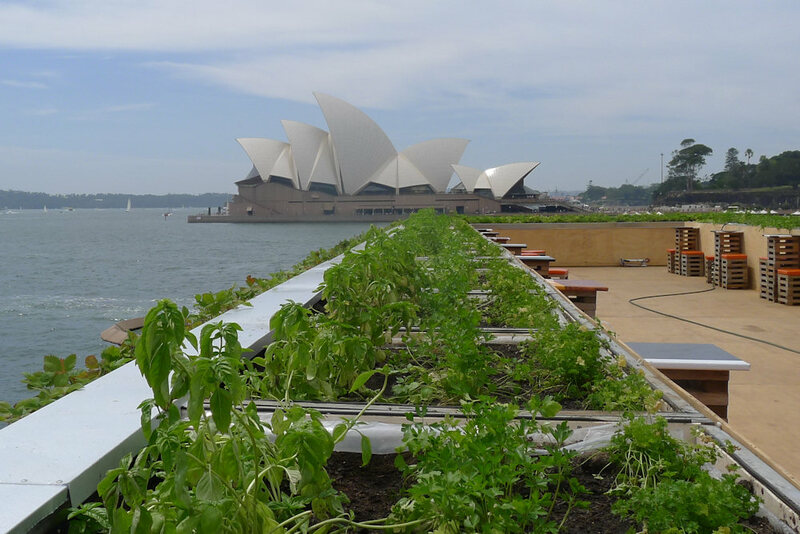 This entry was posted in Sydney - CBD and tagged Eco friendly, Organic Options, Water views. Bookmark the permalink. I went to Greenhouse the other morning – and I agree with you on almost every point you make. The service was appalling, particularly, and the t-shirts too. Blerch. Blerch like someone did on to your t-shirts when they designed them. 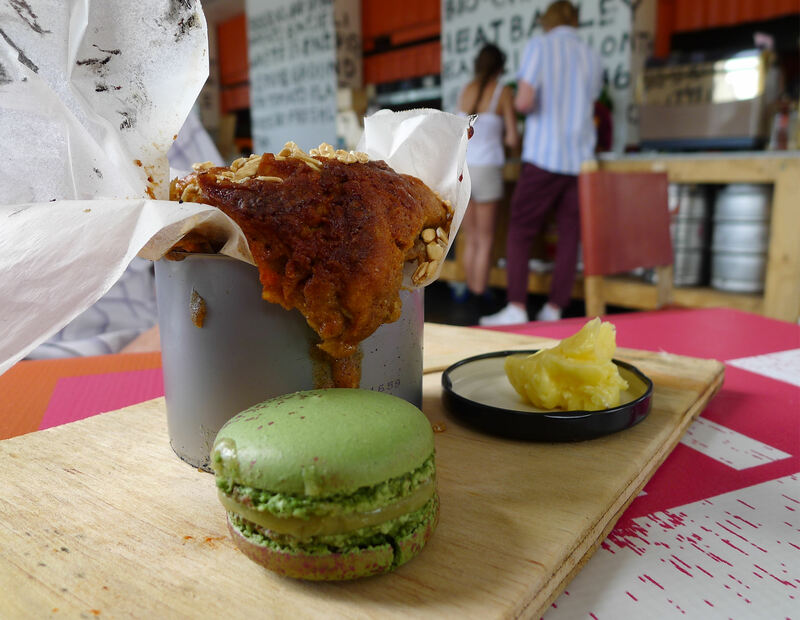 Loved the food, loved the idea, loved the location – just, man oh man – know what you’re cooking and be able to tell me about it. And stop having people explosively blerching on your t-shirts and thinking it looks cool.